moved to their village in Kalomo. Her aunty is married to a bricklayer who is not in full time employment. Twambo’s aunty has no stable job too. She moves around in low density areas to do piece meal jobs of laundering people’s clothes, cleaning yards to make a bit of money. 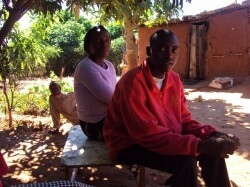 Twambo and her new family have no housing of their own. The house they live in is for someone who is not even their relation but needed somebody to take care of his property so in the mean time asked them to live at this particular house as care takers. 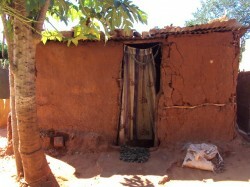 Besides Twambo there are seven other people residing here. These all have to share the only 1 room which is complete. her health especially in the cold season when she experiences frequent asthmatic attacks which to some extent affect her performance at school. through the sponsorship she gets from Academic Work of Sweden. She is in her 8th grade. 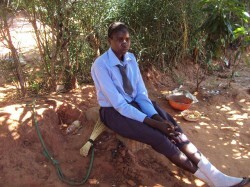 Twambo’s limit is the sky, with hard work as her strength Twambo is determined to soar higher. you have right now and living in the best way possible.